This is a matte,single side coated 100% polyester canvas that is ideal for art and photo reproductions in high volume production.Highly tear-resistant polyester fabric. 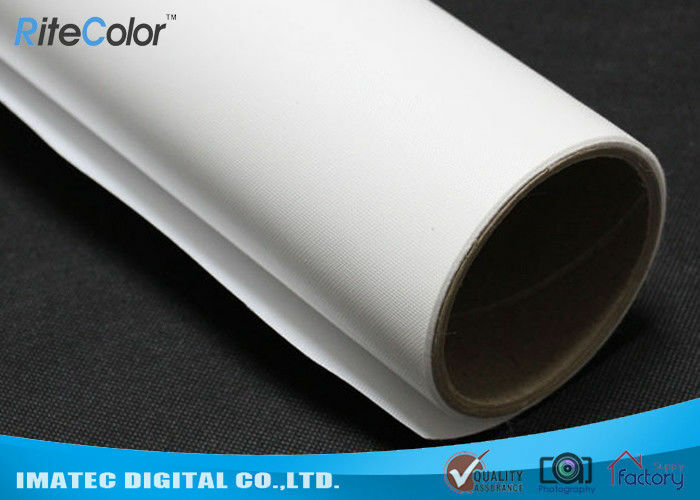 Easy to stretch and can be fold without cracking.High color density,wide color gamut, excellent water-resistant.Compatible with pigment and dye based ink printers. (1). The durability of the printed image is dependent on the fading characteristics of the inks used. (2). 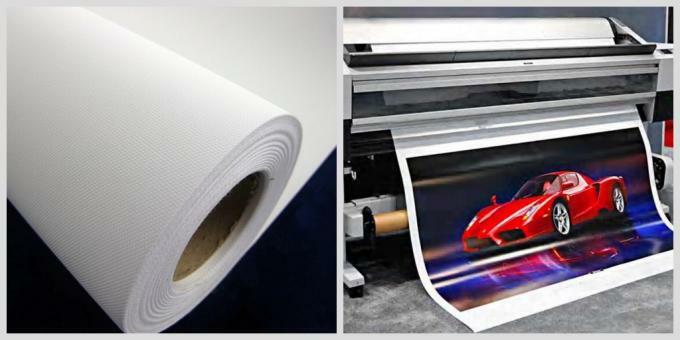 If the printed graphics are likely to be exposed to corrosive liquids, smoke, fumes or a highly polluted atmosphere or if there is a likelihood of scratching or friction while mounting on surface or cleaning after mounting, it is strongly recommended that a UV stabilised overprint is used to lacquer the prints. If you have any other specifical roll width & length demands, kindly pls feel free contact us. (1).It is recommended to condition the media in the normal printing environment for 24 hours before printing.While printing, care must be taken to modify the print file to suit the ink limit of the media. (2) The media should be printed on within the specified ink limit. Exceeding the ink limit can lead to longer drying time, bleeding and lower resolution. (3).Printed media should be thoroughly dried before rolling-up for transport to avoid ink smearing. Post-processing for hem is not required. If necessary, banner tape is preferred to sewing. Grommets should be placed through 2 layers in the hemline. (4).Coner grommets should be placed where the vertical and horizontal hemlines meet, so that they pass through the 4 layers of the media. (5).Lacquering of the printed media with a clear UV stabilised lacquer is recommended for protection. Pre-test the compatibility of the lamination film with the printed media prior to use. Please allow adequate drying time of the print before lacquering. This media, when printed and protected as indicated above (with lacquer), can have an image life expectancy of 18 to 20 months. (6)A fresh pair of cotton gloves should be used while handling the bare media to avoid sweat, grease and oil transfer on to the media that could interfere with the print quality. (7)When not in use, the media should be stored in its original packing in a vertical position.